We are revising our coaching program so please check back this page soon. 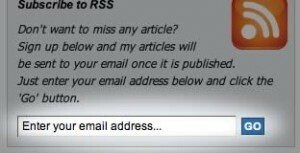 In the meantime, please subscribe to our RSS feed via email so our tips and “how-to guides on running successful online businesses” will be delivered to your inbox once they are available. To subscribe, simply look for the subscribe form on the right portion of this page (form shown below), type your email address and hit ‘Go’.